This course contains instructions and engineering information relating to gas distribution pipe systems, including pressure regulators, valves, meters, and other necessary appurtenances, for the distribution of fuel gas, natural and manufactured, from the point of delivery by the gas supplier to the points of connection with building piping. Learn how telemetering and recording gauges are employed in system management. This course is intended for mechanical and civil engineers and other design and construction professionals wanting an introduction to methods and techniques for distributing natural and manufactured gas. This course will give engineers and other design and construction professionals an introduction to the principles of gas distribution system design. This is an introduction to methods, techniques and equipment for design of gas distribution systems in residential, commercial and industrial activities. 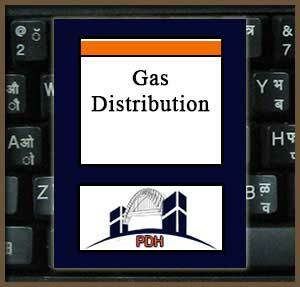 This course will give you an introduction to gas distribution systems design.